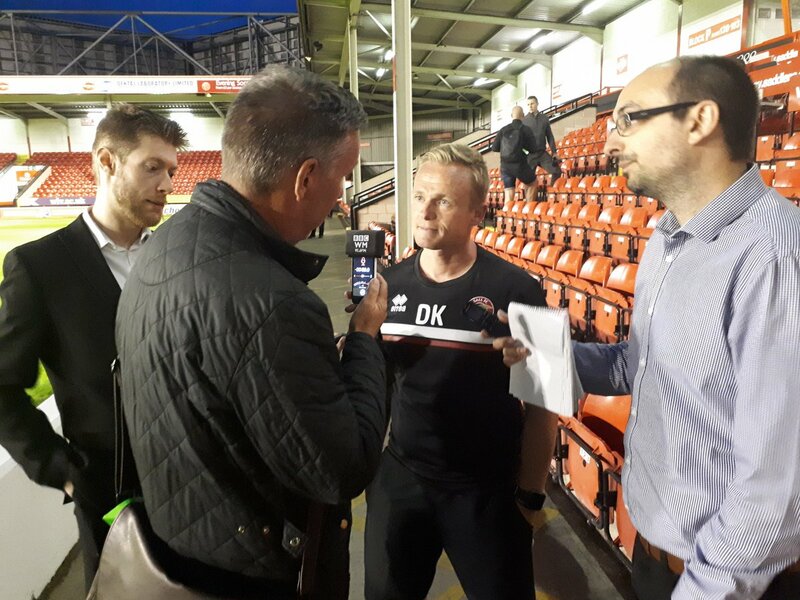 Walsall manager Dean Keates has spoken following his side's Emirates FA Cup - Second Round draw with Sunderland, and praised his side for their promising display. The Saddlers, who will now face the Black Cats for a third time in eighteen days as they meet in a replay on Tuesday, 11th December, have drawn three of their last four games in all competitions and will be buoyed by an improved performance last weekend. Speaking via the club's official website - www.Saddlers.co.uk - Dean said; "In the second half I thought our performance was much better and I think we could have just shaded a victory. We spoke to the players at half-time and we told them to have a little bit more belief in themselves. "We were a little bit tentative in the first half, we looked like we were scared to make a mistake, but sometimes in football you have got to play without fear. You have to play knowing that you might make a mistake and you have got to play without being scared. "In the second half we told the lads to go and play like they had been at the beginning of the season and I thought we looked more like ourselves. Cooky is a Newcastle fan, he’s a Geordie lad and he will take great pleasure in his goal. "I left him out on Tuesday night and he was disappointed but he understood the reasons for what we tried to do down at Portsmouth. I thought for periods of the game against them it worked what we tried to do but he came back in and he was outstanding. He has really enjoyed that."